If you have ever thought of visiting New Orleans, here are some reasons why you definitely should. New Orleans is my favorite place I've ever been to. No matter how many different states and countries I go to, I always come back to New Orleans. There's this kind of magic to it that is hard to really put into words. I just got back from my most recent trip here, and that magic is still fresh in my mind. And during this time where there is sadly flooding going on in Louisiana, it's good to focus on all the wonderful aspects of New Orleans, Louisiana (NOLA). I have never eaten anything I haven't liked in New Orleans. Whether it was a diner or a Steak House, the food was always out of this world. If you like sea food, you'll be in heaven. And if you're like me and you don't like sea food, there is always something for you as well. I can't go to New Orleans without going on a ghost tour. I know most of the stories at this point, but it's always fun to revisit the places and hear the stories once more. If you watched the third season of American Horror Story, you probably are familiar with the story of Marie Delphine LaLaurie. Believe it or not, that's a real story, and the truth is even more gruesome. Most ghost tours make a stop at her house. It's just as creepy and atmospheric as you would expect. Bourbon Street is party central. If you visit there anytime after six, it is packed with people. There are A LOT of seedy places and people on Bourbon Street, but it's something everyone needs to experience at least once. New Orleans follows a little thing called the Napoleonic Code. Which among other things, means it is legal to walk around with your drinks. It makes for interesting night life. You'd be hard pressed to find a more interesting group of people. Almost all of the people in New Orleans are very nice and helpful. They love to party and have a good time. And those accents. I'm not going to lie. One of the main reasons I became infatuated with NOLA in the first place is because of my love for Anne Rice. I love her Vampire Chronicles books and I love the film adaptation of "Interview with the Vampire." Since some of the filming for the movie was done in New Orleans, there are spots you can recognize straight out of the film. If you love the books, there are spots that Lestat and Louis have visited through out their adventures. It's like my favorite books have come to life. Anne Rice also owns property in the Garden District, if you're interested in seeing where she lives. But besides all that, there are legends of actual vampires there. You can go on a vampire tour and hear all about them. There is also a vampire club where people dress like vampires, and get plastic surgery to look like vampires. Or maybe they're actually vampires.... It's up to you to decide. I already mentioned the food, but the bread pudding deserves its own category. They serve it almost everywhere in New Orleans, and although the recipe is never exactly the same, it is always a little slice of heaven. You may recognize the bayous from the Disney movie "The Princess and the Frog," but they are real places and they're just as beautiful as the film portrays. Plus, there is so much wildlife there. If you want to see real live alligators, go on a swamp tour and you are guaranteed to see plenty of them. 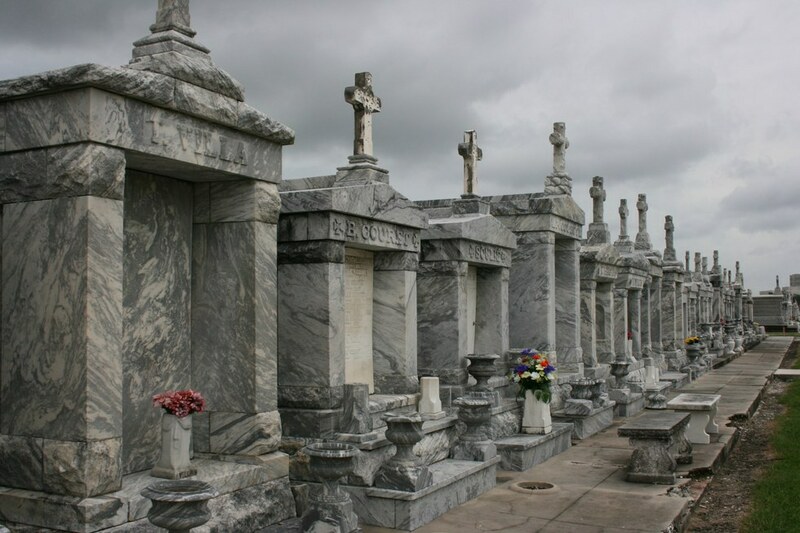 In New Orleans they bury people above ground, in part because they are located below sea level, and want to make sure the bodies stay buried. But this makes for beautiful grave yards. You need a tour guide to go into the graveyards, but it's worth it to be able to explore these unique graves. The architecture is just plain breathtaking. Particularly in the French Quarter, it really is just like stepping back in time. If you want to view beautiful mansions, visit the Garden District. The architecture is just as beautiful there. 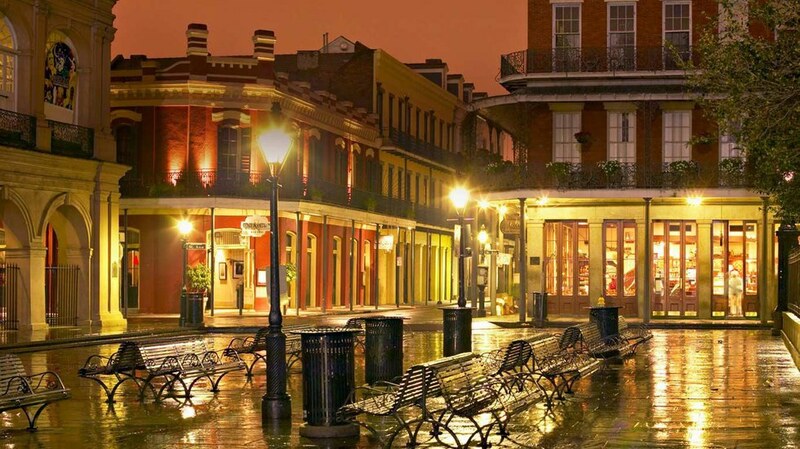 New Orleans is famous for their jazz music, it's where the genre originated. And while you're walking along the French Quarter, there is a good chance you will hear jazz music following you around. As you pass different shops and bars, there is always different types of music playing as well. It is never silent there. I'll admit, I've never actually been to New Orleans during Mardi Gras, but it's on my bucket list. It's weeks of celebrating. There are floats where they throw things to the crowds, most popularly beads. And everybody just has a good time and celebrates life. What's not to love?